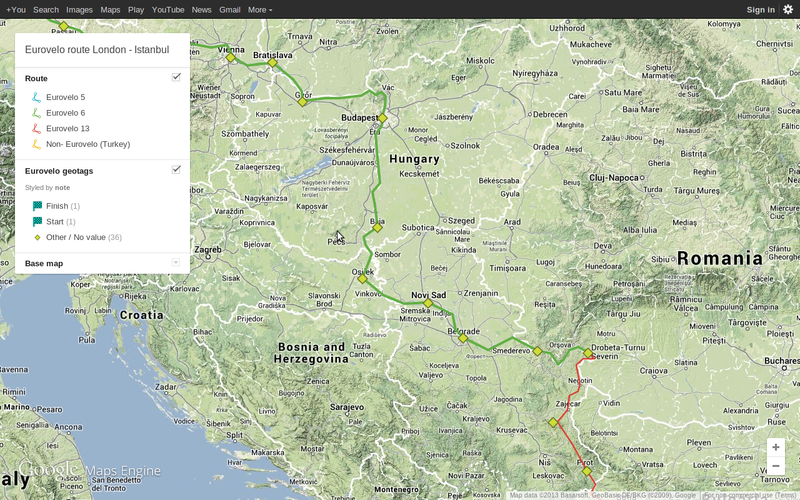 Click for an interactive map! 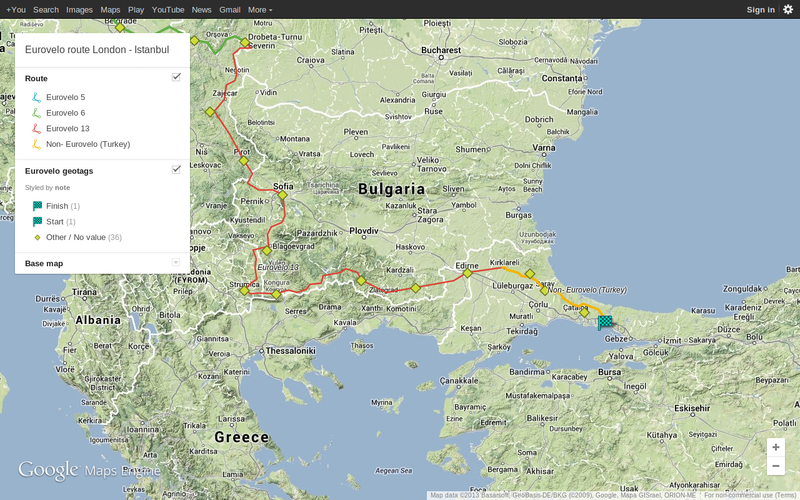 Hey, I was not aware of this cycle tour when it was live but I am looking at your route from Strumica to Turkey. I was just wondering how you found it… anything I should avoid or re-route? 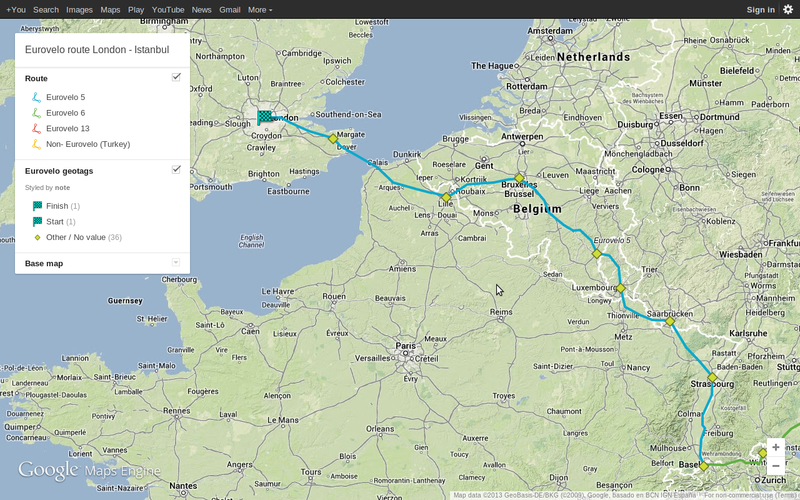 IIll be cycling from London to Istanbul starting in a few days from now and will be using a road bike. 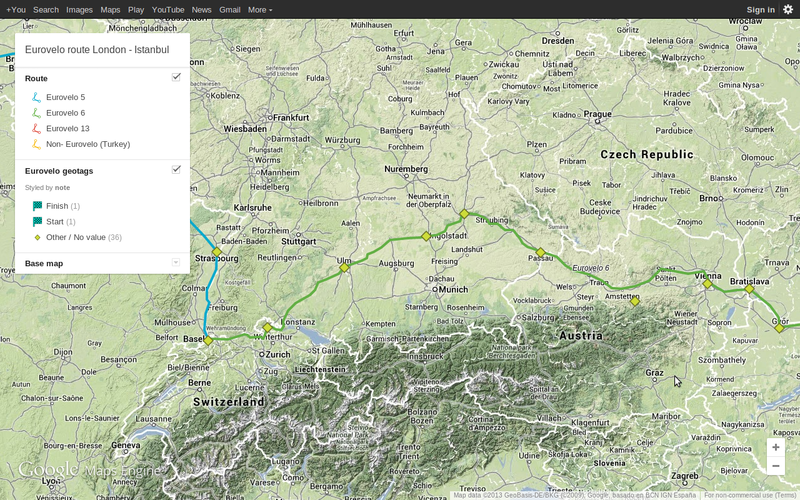 I look forward to the day when all the Eurovelo routes have been “realised”.